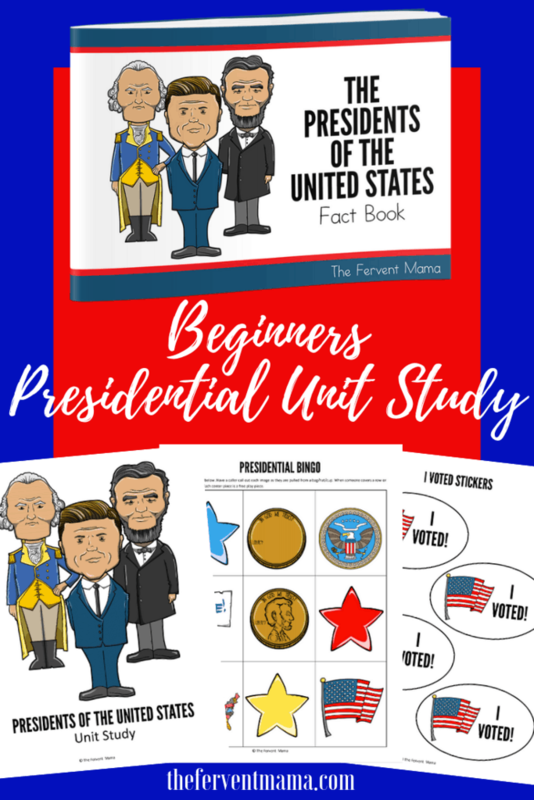 Whether you’re gearing up for Presidents Day, or just learning about the history of our presidents, you’ll need this beginners guide to the presidents unit study! 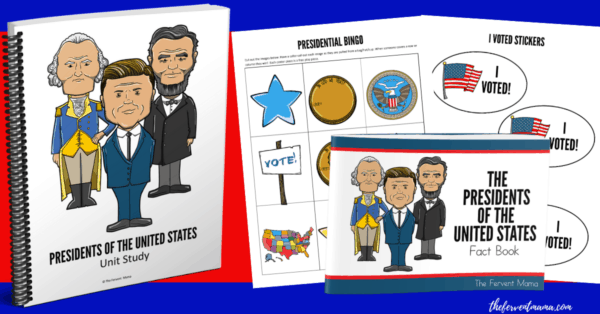 Our presidential unit study has great fun that includes political parties, writing/drawing prompts, mock ballots, stickers, vocabulary sheets, coloring pages, a DIY President Fact Book & more! You can use this as a completely hands-off method- where the student is responsible for putting everything in order. 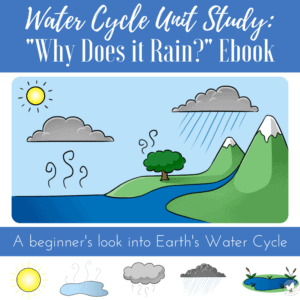 OR, you can use this as a teaching tool to work through together! We think we’ve covered all of our bases with this one and we’re pretty proud of it all. 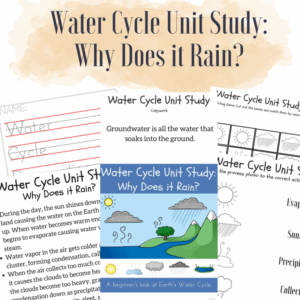 You’ll want to scoop up this presidential unit study really quick.